The sofa is an important piece of your living room. It’s where you lounge, spend time with friends and family, or simply relax. A great sofa can breathe life into your living room. We at Sofa Fox understand this, which is why our sofas are second to none. We know that every house has its own unique style. After all, everyone is different and their wants and needs rarely completely overlap. 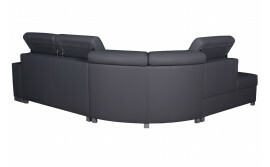 For this reason, we boast one of the largest selection of sofas available in the UK. If you’re pressed for space but still want to give your living room a raw charm, try out a 2-seater leather sofa bed and discover how practical yet comfy sofa beds can be. Another popular trend in recent times are corner sofas – try our 3-seater corner sofas if you have a larger family or invite friends over more frequently. We also believe that you don’t need to pay large sums of money to get good results – try a cheap black corner sofa and see for yourself! 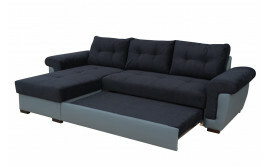 All our sofas and sofa beds are of good quality. With Sofa Fox, you get great value for your money. As the pace of modern life speeds up and more and more people come flocking to the city, the amount of residential space available decreases. With tiny flats and minuscule houses, finding clever ways to increase the amount of available space in your home is crucial. Moreover, families grow and housing situations change, so you never know when you might be in need of an additional bed or sofa. That's why sofa beds for everyday use are becoming the norm. 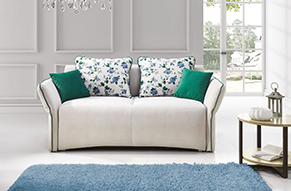 SofaFox offers the best selection of everyday sofa beds in the country. 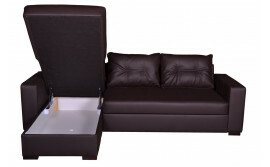 Made using the best materials and tried and tested designs, our sofa beds are very well prepared for daily use. You can open and close them on a regular basis, but they won't break for a long time! They come in a variety of sizes, so if you have a bit more space and want a large sofa bed for everyday use, that won't be a problem - we have it all! So check out our offer today and we promise you that you'll a sofa bed for regular use that will satisfy all of your needs. It’s often difficult to find the right sofa when your living room space is limited. Corner sofa beds for small rooms allow you to not only fit more people on a relatively smaller surface, but your living room can now double as a bedroom, freeing up space in other rooms. 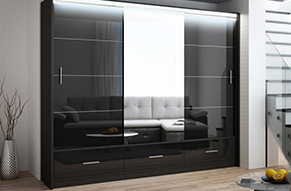 Take a look at our corner sofa beds with storage to make the most of that tiny living space. Many people are still wary of sofa beds – don’t they break after being used too frequently? Not our sofa beds! Check out are great selection of everyday sofa beds and find out for yourself that using one as your main bed is no less comfortable than using a regular bed. Are sofa beds are perfect for everyday use. Choosing the right sofa is a really important step in the arrangement of a living room. As you will be spending a lot of time there, either chatting with friends over a cup of coffee or simply relaxing with a book, you want to choose the most comfortable sofa available. 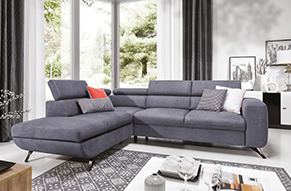 Sofa Fox has got you covered – we provide ridiculously comfortable sofas at fantastic prices. Not enough room in your house? A regular 3-seater takes up too much space, but you need that extra sitting area to accommodate all your friends. What to do? Take a look at our impressive selection of modern corner sofas, coming in a wide selection of patterns and colour, to fit your living room like a glove.